Johan Ludvig Runeberg (February 5, 1804–May 6, 1877) was a master at describing Finnish patriotism in his work; one of his poems later became Finland’s national anthem. If you visit Finland in early February, when the whole nation celebrates J.L. Runeberg’s birthday by eating the quintessential Runeberg cakes (runebergintorttu in Finnish), you might be forgiven for assuming that Runeberg was a pastry chef, and a very good one at that. 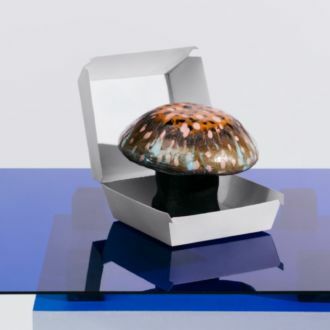 In fact, the raspberry jam-topped muffin is connected with a poet who stoked the self-esteem and patriotism of the Finnish people in the days before the nation achieved independence. The baker was his wife, Fredrika Runeberg. In 1846 J.L. 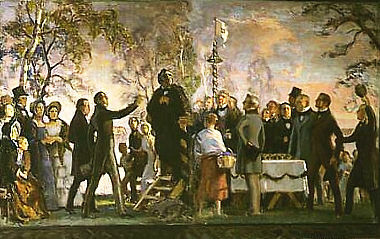 Runeberg wrote a poem as the prologue to The Tales of Ensign Stål, an epic poem describing the events of the Finnish War (1808–09). According to legend, it took Runeberg’s friend Fredrik Pacius 15 minutes to compose music to go with the poem. It eventually became Finland’s national anthem; Runeberg’s words did indeed aim to stir Finland’s patriotic spirit, more than half a century before independence. 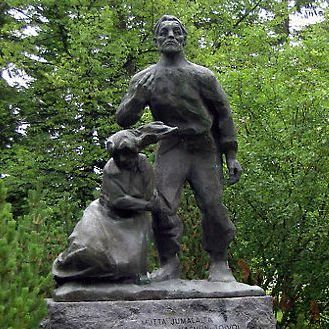 He came to be regarded as Finland’s national poet. 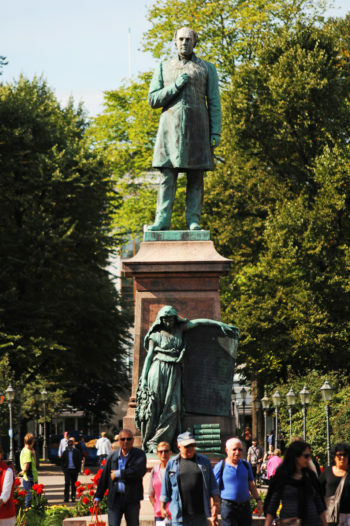 Many of Runeberg’s works express the patriotic spirit of his fellow Finns. He was Finland-Swedish – the term used for Finns whose native language is Swedish, which is one of modern-day Finland’s official languages. He lived his early life in central Finland, a mainly Finnish-speaking area, so he was well acquainted with Finnish speakers, as well. Although he tried his hand as a playwright, he won lasting fame as a lyric poet whose work is often compared to that of the great European romantic poets. In a more modern twist, the Finnish folk metal band Ensiferum quotes one of his poems in a song. 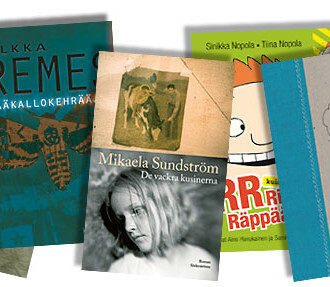 If Runeberg were alive today, he might well be a socially conscious hip-hop performer or a rapper in the style of Finnish artists such as Paleface or Asa. Behind every great man, or at least beside every great man, there’s a great woman. Runeberg’s wife Fredrika Runeberg was a writer herself, a pioneer of Finnish historical novels. 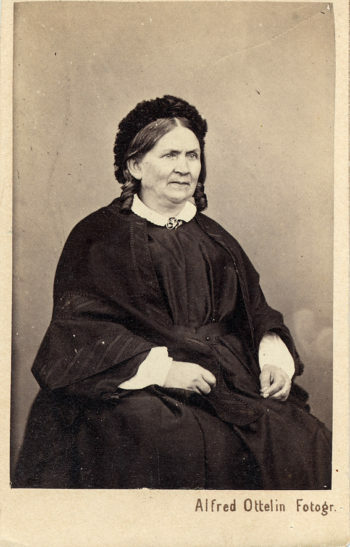 She managed the Runeberg household and their eight children in Porvoo, a picturesque seaside town 50 kilometres east (30 miles) of Helsinki. The story goes that money was often tight in the Runeberg family, but Fredrika was a frugal manager and she knew how to deal with her husband’s sweet tooth and his grumpy moods. To make what became the Runeberg cake, she took leftover bread crumbs, added punch and topped them with fruit from the garden. The muffin-like pastry became part of the poet’s daily breakfast. 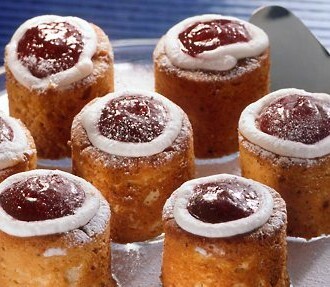 And on February 5, the whole country celebrates Runeberg Day. 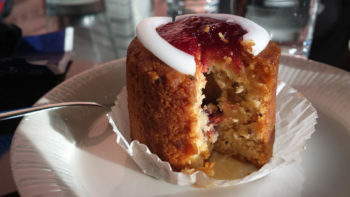 Many versions exist of the cakes that bear the Runeberg name. You can find two of our favourite recipes on Desserts for Breakfast and Vagabond Baker. Creative license – some might say poetic license – is allowed, and even encouraged: For a lighter version you can experiment with substituting Greek yogurt for cream, oatmeal for bread crumbs, and healthy spelt flour and wheat germ for wheat flour. The result is just as sweet; we believe that J.L. and Fredrika themselves would have approved of it. It’s worth seeing what lies beyond Helsinki. 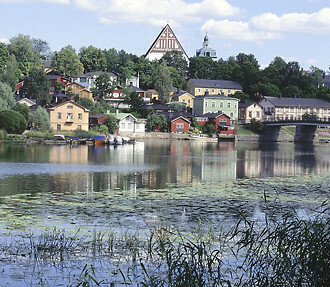 Porvoo, the second-oldest town in Finland, charms visitors with its historical treasures, design shops, fashion and fine dining.